➢	Miečys is a privately owned company established in 1993. Miecys guarantees the distribution of products through its companies in Lithuania, Latvia, Estonia and Byelorussia. 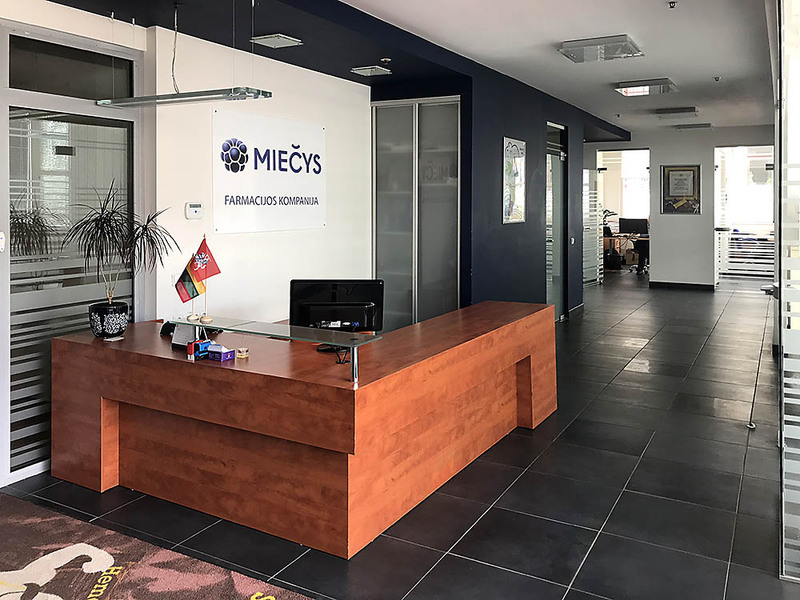 ➢	Miečys provides marketing and sales, logistic services to the clients specialised in production of medicines (OTC and Rx), medical devices, nutritional supplements, health care and personal care products. ➢	Miečys represents: URGO (France), Boiron (France), SosePharm (Italy), Thorton&Ross (UK), Lallemand (Canada), Rivopharm SA (Suisse), Farmak (Ukraine), NovaxPharma (France), Dr Irena Eris (Poland), EMAMI (India) etc. ➢	Miečys owns brands Hematogenas Vita+ and Hema2gen, popular healthy bars. Kareivių str. 19-142, Vilnius LT 09133. Masiuliškių str. 15, Sutkūnai, Šiaulių raj. LT 76104.